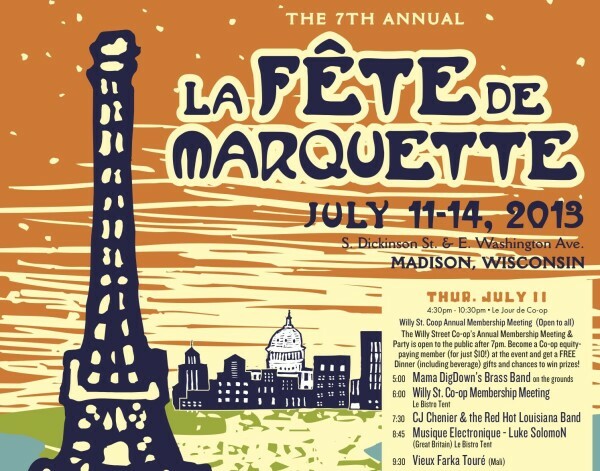 The 7th Annual La Fete de Marquette begins tonight through Sunday (July 11-14) at the corners of East Washington Avenue and South Dickinson Streets. Its is just the right mix of great music, carnival fun (the Ferris Wheel is back! ), and the best of East Side area restaurants. Kallas said the original intent was to help promote the construction of Central Park and the event was first held at Ingersoll and Main Streets. While the festival location has migrated, the impetus is starting to show results as construction of the first phase of Central Park will begin later this summer. 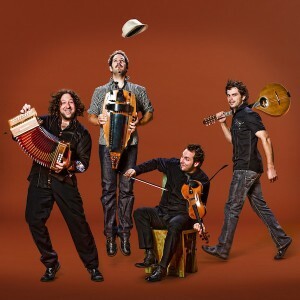 Considered a driving force in progressive folk, Le Vent du Nord from Quebec will headline the Acoustic Cafe Breakfast on Sunday July 14. 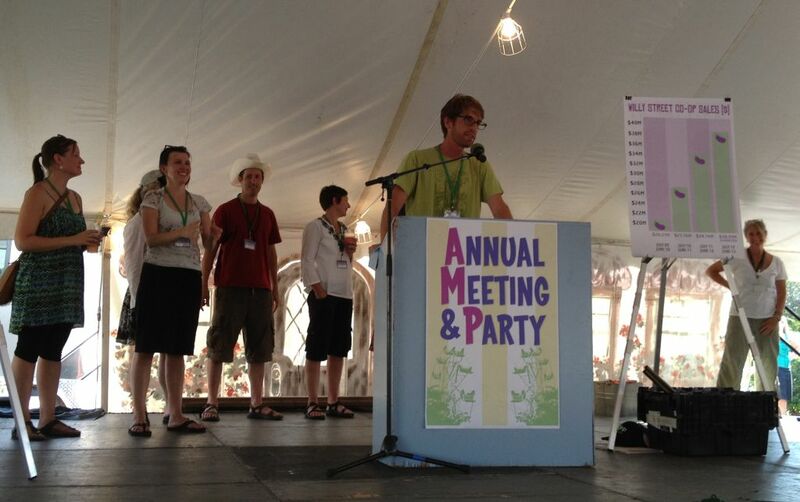 Each day of the four day fest has a theme with tonight being the Membership Meeting of presenting sponsor the Willy Street Co-op. Friday features the return of Heartland Credit Union Member Rewards Night with the Hooray for Heartland Happy Hour and the music of Johnny Chimes, Sagapool, Kenny Neal, and Marcia Ball. Saturday is Louisiana day with music all day on the stage and under the tents. Robin Pluer with Mrs. Fun kicks it off at noon followed later by local favorite Mama Dig Down’s Brass Band then its a host of New Orleans acts including The New Orleans Suspects, Eric Lindell and the Sunliners, and Irma Thomas who will be joined by the ‘Suspects’. In a switch, Sunday will be world music day starting with the Acoustic Cafe Breakfast featuring the Savoy Family Cajun Band and Le Vent du Nord who will also appear later in the day on the main stage followed by the Haitian band Boukman Eksperyans, Sierra Leon’s Refugee All-Stars, and Fatoumata Diawara. This entry was posted in Madison, Madison Arts & Entertainment, Uncategorized, Willy Street, Willy Street Arts & Entertainment and tagged Central Park, District 6, Eric Lindell and the Sunliners, Fatoumata Diawara, Haitian band Boukman Eksperyans, Heartland Credit Union, Irma Thomas, Johnny Chimes, Kenny Neal, La Fete de Marquette, Le Vent du Nord, Marcia Ball, Marquette neighborhood, New Orleans Suspects, Sagapool, Sierra Leon's Refugee All-Stars, Wil-Mar Neighborhood Center, Willy STreet, Willy Street Co-op by TheEastSider. Bookmark the permalink.